Gust has posted the opening movie to Nelke & the Legendary Alchemists: Ateliers of the New World, the town-building spinoff of the long-running Atelier series. 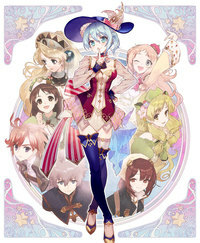 The anime-style opening features the song "Alchemia" by Mitsuki Nakae. Find the video below, which features many familiar faces from across the franchise. In case you missed it, you can find information on post-game content and Japanese Season Pass details here.